In some cases, you may be prescribed antibiotics before dental work. This practice is not as common as it once was, but it is still an important treatment factor for many patients. Antibiotics treat bacterial infections, and bacterial infections in the mouth can cause several issues for patients as the infection can travel. Infections in the mouth can also make dental work more painful. It used to be recommended that anyone with a heart condition take antibiotics before dental treatment. 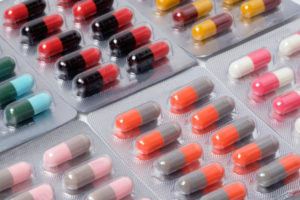 However, this practice has seen a decline as it has been found that antibiotics before dental work does not significantly limit risk of infection traveling to the heart. Some people with certain heart conditions, such as valve replacements, may still need antibiotics before dental treatment. Dental anxiety is highly common among dental patients. If you have dental anxiety, there is no shame in it. It is important that you do not let dental anxiety stop you from getting the oral health treatment you need. Here are the top three ways to alleviate dental anxiety. It is important that you talk to your dentist about your anxiety before you undergo any procedures. Being up front and honest with your dentist will help them to better accommodate you. Your dentist will have additional methods of coping with your dental anxiety, and if it is too troublesome for you they may have pharmaceutical means of keeping you calm through the procedure. The sad fact is that many teenagers do not have good oral hygiene. Many teens will only brush their teeth when they realize their breath isn’t fresh, they have a date, or mom or dad reminds them. This often leads to cavities. 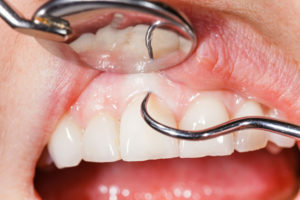 While your dentist will do everything they can to save a tooth, sometimes the best remedy for health is an extraction. Leaving gaps in your teen’s smile does more than harm their appearance. Gaps in teeth can affect the effectiveness of the bite, causing problems with chewing food adequately for good digestion. Too many gaps in teeth can sometimes cause teens to avoid some foods altogether. Since it is already hard enough to get teens to eat a healthy diet, making it more difficult for them to bite into or chew fresh fruits and vegetables is not a good idea. This is just one reason why you should replace missing teeth. One of the biggest reasons not to let teeth go unreplaced is that your teen is still growing. When a tooth is extracted while growth is still occurring, it causes the other teeth around it to migrate to try to fill the gap. This results in a bad bite, and it can greatly hinder future dental work. It is important to replace missing teeth as soon as possible so your teen doesn’t have problems with chewing. Many teens suffer from depression and low self-esteem. Anything you can do to boost your child’s confidence is an important undertaking. Having missing teeth can make your teen unnecessarily self-conscious. It can also make them a target for bullying. Appearance is extremely important to your teen, so it should also be important to you. You have many options for replacing missing teeth for your teen. Implants and implant supported bridges can restore your teen’s healthy smile and help them live a better life. Contact us today for more information. If you are missing two or more teeth in a row, a dental bridge can be a good option for restoring both your appearance and the ability to effectively chew. A dental bridge is an appliance made up of artificial teeth that attaches permanently within the mouth. Dental bridges, although called permanent fixtures, do have a lifespan and will need to be replaced every several years. There are two types of dental bridges. A traditional bridge attaches to the teeth you have remaining on either side of the gap. Crowns are fashioned with the artificial teeth between them. Enamel is removed from the two teeth on either side of the gap, and the crowns affixed. The other type of dental bridge is implant supported. Implants are placed in the mouth on the edges of the gap, and the bridge is affixed to the implants. Implant supported bridges typically last longer than traditional bridges. An implant supported bridge routinely lasts more than ten years, and sometimes lasts up to 15 years. The implants themselves last for a lifetime, unlike the teeth that your traditional bridge would be attached to. When a traditional bridge is used, it will only last as long as the anchoring teeth remain healthy. Because some enamel has to be removed from the anchoring teeth to accept the crowns needed for the bridge, decay is more likely to occur over time. Good oral hygiene plays an important role in how well your crowns and the anchoring teeth hold up to the test of time. With an implant supported bridge, your bridge is supported by permanent implants. When the implants are initially placed, there will be a healing period before you receive your bridge. After this healing period, the implants are well rooted and can easily support the bridge for many years. You never have to worry about the crowns breaking or the health of anchor teeth. Some patients are not good candidates for a traditional bridge. If you do not have healthy anchor teeth for the traditional bridge, or if you are missing too many teeth, a traditional bridge will not be a viable option. Implant supported bridges are a viable option for everyone. As long as you do not have a deformity of the jaw or problems with healing, your mouth can accept the implants and you can replace as many teeth as necessary. For more information about how you can restore your smile with an implant supported bridge, contact us today. Teeth grinding is a big problem for some people. You may only grind your teeth in your sleep, or you may grind your teeth throughout the day. Teeth grinding is usually a sign of not being relaxed before you go to bed. It can also be a sign of high anxiety during the day. Sometimes, it is simply a bad habit that needs to be broken. Here are some tips for the best solutions for teeth grinding. Relaxing before bed can help stop nighttime teeth grinding. Take a warm bath just before retiring for the night. Give yourself a massage as you get in bed. You can also use relaxation techniques such as meditation as you go to sleep to help you let go of the stresses of the day. Using relaxation techniques throughout the day will also help both daytime and nighttime teeth grinding. Most health insurance policies provide medical care separately from dental care, a pattern than makes no sense! Oral health and overall health are closely interconnected, and when one suffers, the other also suffers as a result. Inflammation links poor oral health and heart problems. The gums inside of the mouth are vascular, which means they are full of blood vessels, while the mouth itself is filled with bacteria. When unhealthy gums become inflamed, the bacteria in the mouth can seep into the bloodstream and travel anywhere within the body, creating more inflammation as they go. This is incredible dangerous, especially to the heart. Dental pain – we all dread it, yet it’s almost inevitable at some point in life. 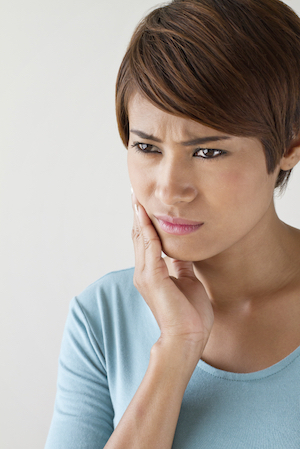 Just like any other type of pain, dental discomfort can originate for many different reasons. Make sure you understand the following three causes of dental pain as well as their solutions so you can prevent lasting damage and stay comfortable. Bacteria always exists naturally in the mouth, but when too much bacteria accumulates on the surface of a tooth due to negligent oral cleaning habits, it leads to the formation of plaque. Plaque eventually breaks down the natural minerals on the surface of the tooth and causes small pits to form. These pits of decay and infection are known as cavities. When cavities remain in the mouth for long periods of time without being treated, the infection can lead to serious damage. Your oral hygiene and dietary habits are the most important components of cavity prevention. Be sure to brush and floss at least twice a day. Rather than brushing and flossing after you eat breakfast, start your oral care routine immediately after you wake up. This will clear away any bacteria that accumulated overnight and give your teeth extra protection during your first meal of the day. Gum disease begins as gingivitis with red, swollen, and tender gums that bleed too easily. If gingivitis is left unattended it leads to the more advanced form of gum disease known as periodontitis. This disease more severe as the gums pull away from the teeth and create pockets of infection. Eventually, the fibers and bone supporting the teeth are destroyed, and the teeth often need to be fully removed. No disease is a good disease, but gum disease is especially dangerous. It can threaten the integrity of your teeth and spread quickly to other part of your body. If you’ve neglected brushing in the past or simply had bad luck with your oral health, protect your mouth with LANAP, an innovative laser treatment for anybody hoping to prevent or reverse periodontal disease. An Intro to Periodontal Disease? Periodontal disease, also called gum disease, is an infection of the structures that support and surround your teeth. 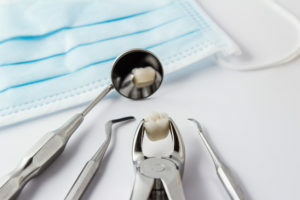 Warning signs include gums that bleed easily, gums that have pulled away from the teeth, loose teeth, change in bite, and persistent bad breath. Since your gums are essential to hold and protect your teeth, unresolved periodontal disease leads to the rapid loss of tissue throughout the mouth and widespread tooth loss. LANAP is FDA-cleared to offer a less painful and more effective gum disease treatment compared to conventional surgery. It achieves laser assisted regeneration (LAR) by sterilizing infected gum tissues, destroying bacteria, and helping healthy gums reattach to the teeth in a short period of time. LANAP is actually the only methodology proven to achieve true periodontal regeneration. In other words, LANAP doesn’t simply stop gum disease from spreading; it actually enhances and restores the health of your gums! Laser technology now makes it possible to improve your oral health without any invasive surgery or painful recovery time. 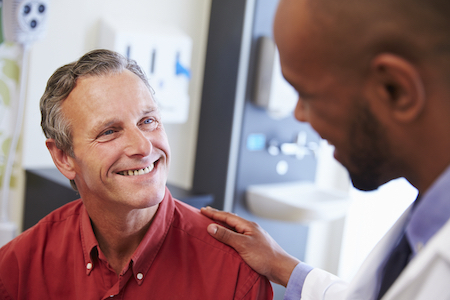 When you use LANAP for your periodontal disease treatment, you benefit from significantly less pain, bleeding, sensitivity, gum loss, swelling, downtime, and post-op infections as compared to surgery. Best of all, you know that your gum tissues are actually regenerating and healing! Dental Implant Solutionz in Largo, Florida is proud to offer LANAP for all patients battling periodontal disease. Dr. Tadros and his experienced team will customize your LANAP treatment in order to improve the health and structure of your mouth. 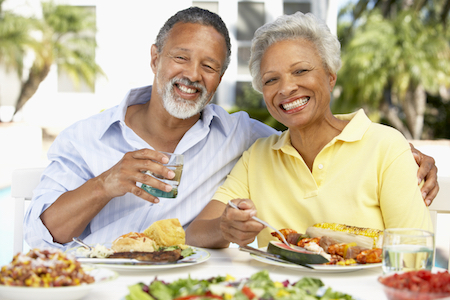 Call (727) 202-4926 to make your first appointment at Dental Implant Solutionz today! If you are living without a full set of healthy teeth, it’s probably a dream of yours to chew and talk with a complete smile once again. You may think this goal is out of reach, but today’s impressive dental technologies and procedures make it possible! Even if your jawbone has sustained damage over time, bone grafting may help to strengthen your jaw enough for dental implants. Bone grafting is a common procedure that strengthens the jawbone. It takes a section of bone from another area of the body – or possibly uses a special bone grafting material – to reinforce and enhance your jawbone. After a few months, the graft creates enough new bone to help dental implants sit securely in your mouth. Despite their name, wisdom teeth usually only cause trouble. As the final set of molars to grow into the mouth, wisdom teeth rarely have the room they need to fit with other teeth comfortably. If wisdom teeth aren’t removed shortly after they appear during a patient’s teen years or early twenties, they often become impacted in the gums or force other teeth into misalignment. To avoid misery with your own wisdom teeth, here’s what you need to know. 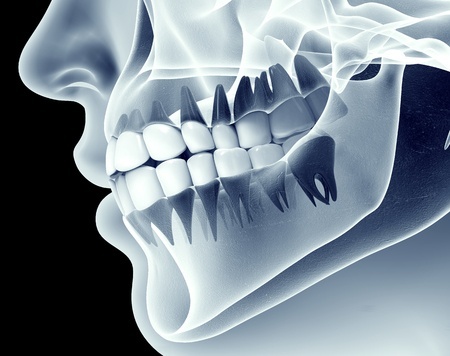 Wisdom teeth are a set of molars located in the back of the mouth. They usually grow last and don’t appear until your late teens or early twenties. Though some people are lucky enough not to experience any problems with their wisdom teeth, the majority of people need them removed to avoid serious problems like crowding, damage to nearby teeth, infection, and decay. If you receive regular dental checkups every six months, your dentist will use periodic X-rays to check the status of your wisdom teeth. Most dentists suggest wisdom teeth removal before a problem even forms in order to eliminate the potential of a more painful and complex procedure down the road. Proactive removal is recommended since wisdom teeth are easier to extract before their roots have fully developed.